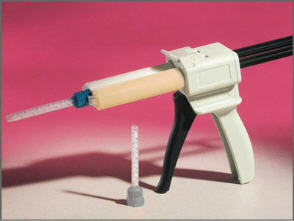 Impression Gun for use with our Templet™ disposable cartridges. No measuring or mixing needed. The material automatically mixes as it moves through the tip of the syringe.